2018 has been an eventful year to say the least, from the British Royal Wedding to the world’s largest democracy decriminalizing homosexuality, Robert Mugabe being forced to resign, and of course several whirlwind foreign policy shifts under President Trump. Individual Donors are rated as the most effective channel for fundraising. Institutional grants follow closely second as the top source of funds in 2018 for most NGOs. Peer-to-peer fundraising and Offline Events seem to be catching up as popular fundraising methods, however, most NGOs feel that crowdfunding requires a disproportionate amount of effort for a small corpus. Corporate Social Responsibility is steadily increasing its share in the fundraising pie, while revenues generated through social business i.e. a product or service delivered by a non-profit still need to scale up to independently build a sustainable organization. 67% of survey respondents feel that government sponsored funds have not been an effective channel for fundraising owing to the tedious process and stringent requirements. With social media networks like Facebook introducing fundraising tools, and even a brand new ‘community petition’ feature, the face of fundraising is evolving gradually. 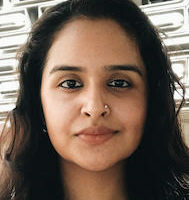 Across the spectrum,[ii] NGOs have admitted to applying to 18 fundraising opportunities on an average throughout 2018. Most non-profits undertook10 fundraising endeavours through various mechanisms in the past year. 80% of the NGOs consider finding new donors their biggest challenge in fundraising. We have previously published guidelines on how to start looking for potential donors which can be read here. Our Premium Members have direct access to a powerful donor database that not only connects members to new donors but also helps to turn them into financial supporters for your cause. Here are a few quick tips on how to network with prospective donors and partners offline. 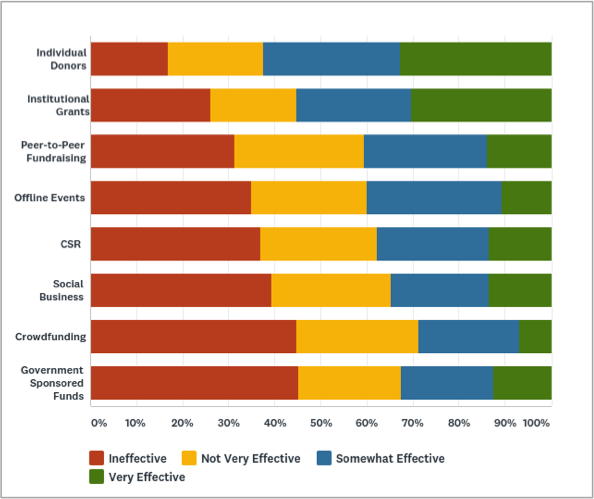 52% of NGOs consider developing effective proposals as their second biggest challenge in fundraising. In order to get funded, it is important to spell out your needs, plans, and evaluation strategies in a way that allows the potential donor to understand the importance of your project and become interested in what you are doing. Proposals have become more sophisticated in recent years owing to increasing competition and a limited number of opportunities. We have put together a comprehensive series of articles on ‘How to write Proposals’ that take you through the step by step process of crafting a winning proposal. We’ve partnered with NGOs for over a decade now and have an impressive repository of sample proposals that can guide you in application development. 40% of NGOs struggle with diversifying their funding sources as most depend on a primary source of funds in the form of a foundation or an individual donor. Diversification of revenue stream is a natural challenge for any business, even for an NGO. It is critical to not keep all your eggs in one basket. It is a recognized fact that potential donors prefer organizations that have diverse sources of funding to ensure the financial stability of their investment. The probability of application acceptance increases with the number of funding sources. With tight budgets and limitations on spending grant funds on administrative costs, there is a serious concern looming over the learning and development aspect of non-profit human resources. Upskilling of fundraising staff especially is crucial to the growth and sustenance of an organization. 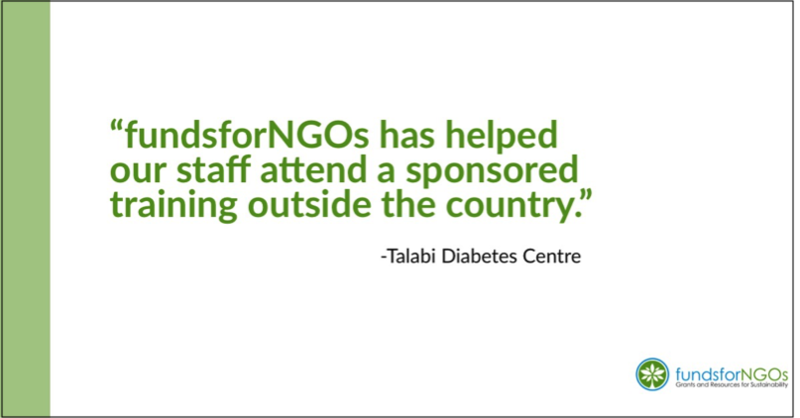 35% NGOs are concerned about training their staff and equipping them with the right skills and information. As an effort in this direction, you can take a look at this thread that takes a simple approach to onboarding and training a fundraising staff member. Apart from this, there are several opportunities floated by organizations to include NGO representatives in meaningful conferences, training, and workshops that we regularly post about on our website. One of our valued premium member organization was able to send their staff on a sponsored training outside their country in 2018 via an opportunity we shared with them. 71% of the NGOs agree that fundsforNGOs has been helpful in easing out one or more of their fundraising challenges in 2018. The most common way to thank/show gratitude to donors after successfully raising funds emerged as a ‘Thank You’ email. 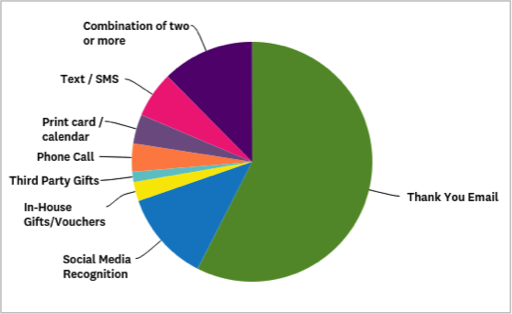 A significant chunk of the NGOs sought to social media to give their donors a shout out for their contribution. Certificates, official letters, mention in official reports and in-person meetings were other popular ways for NGOs to thank and keep in touch with their donors in 2018. The past year has helped us connect better with our members and further build our resources to provide relevant funding opportunities at your fingertips. More than 80 organisations secured funding from various agencies and donors while partnering with us. We want NGOs to focus on what’s important—running programs. In 2019, we hope to further reduce fundraising barriers for NGOs at all levels, and of all sizes and sophistication. [i] Insights have been obtained from fundsforNGOs End-of-Year Survey 2018. Keep tuned for the complete report.